The first of 2,300 Marines and sailors will be streaming home starting Sunday as the 24th Marine Expeditionary Unit closes out an overseas shipboard deployment that’s stretched eight-and-a-half months. On Sunday, crews aboard dock landing ship Gunston Hall and transport dock New York, which is wrapping up its maiden deployment, will offload Marines and their vehicles and equipment at the port in Morehead City, not far from the 24th MEU’s home in Jacksonville at Camp Lejeune, N.C., officials announced today. The Marines will load buses and head over to the base later in the afternoon to reunite with their family and friends. On Monday, the MEU’s rotary-wing aviation units with Marine Medium Tiltrotor Squadron 261 (Reinforced) will return to nearby New River Marine Corps Air Station and meet up with their loved ones in what’s bound to be a particularly loud but happy homecoming as a dozen MV-22 Osprey tiltrotor aircraft, four CH-53E Super Stallion heavy-lift transport helicopters, four AH-1W SuperCobra attack helicopters and three UH-1N Huey helicopters leave the ships and return to the flight line. On Monday and Tuesday, amphibious assault ship Iwo Jima, the big-deck that’s served as the MEU/ARG’s flag ship, will offload Marines and more vehicles and equipment with Battalion Landing Team 1/2 and Combat Logistics Battalion 24 as Navy air-cushioned landing craft, or LCACs, will hit the sands at Onslow Beach. The ships will head for their home berths in the Hampton Roads area of Virginia, with Gunston Hall due to pull into Joint Expeditionary Base Little Creek-Fort Story on Tuesday, Dec. 18, U.S. Fleet Forces Command announced. The Iwo Jima and the New York will return to Norfolk Naval Station on Thursday, Dec. 20. It’s been a busy deployment for the 24th MEU, which spent about two months ashore training and operating with allies’ forces, and top commanders kept a constant focus on the news and readied to respond, if needed, as crises flared up around the Middle East and northern Africa. 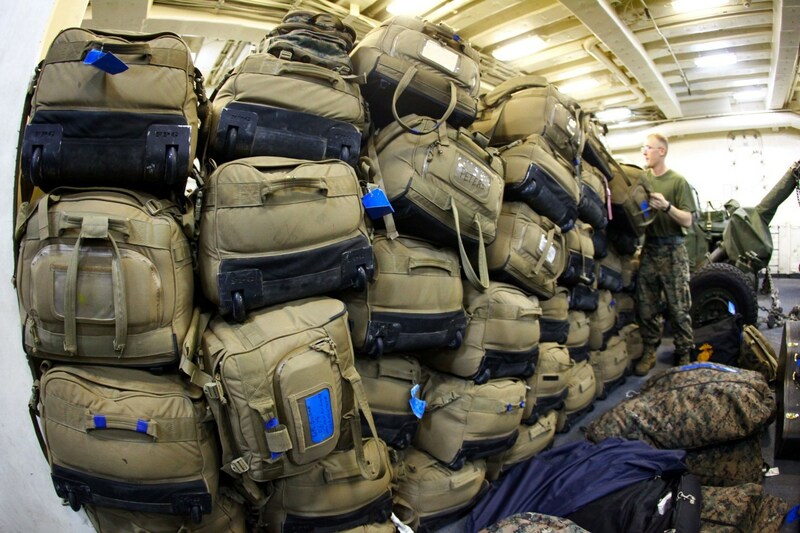 It’s exactly what the Marine Corps’ MEUs train to do when they deploy overseas as a crisis-response force, so they have to plan and prepare for possible short-notice contingencies on a wide range of missions. In fact, the MEU was on some form of alert 150 days throughout the deployment, its commander, Col. Frank Donovan, told Marine Corps Times. That included possible security missions or embassy evacuations of Americans in places like Khartoum, Sudan’s capital where violent protestors attacked the U.S. embassy in mid-September.